Are you wondering how to make vegetarian kimchi? It's actually quite easy. Follow these simple instructions to get delicious Korean kimchi to enjoy in your vegetarian diet. Kimchi is a spicy fermented cabbage that can be served cold as a condiment, added to vegetarian broth for soups, or stir-fried with other vegetables for a tasty dinner. It is also widely available in specialty grocery stores and even in some large-chain stores. However, it's important to note that not all kimchi is vegetarian, so be sure to read labels. Use the following ingredients and directions to make delicious kimchi your whole family can enjoy. 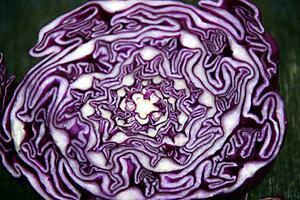 In a large bowl, salt the cabbage. Cover with plastic wrap and let sit at room temperature for four to six hours. Meanwhile, in a small glass bowl, mix chili powder or flakes with an equal amount of water, stirring quickly to make a loose paste. Cover and allow to sit for the duration of time left for the cabbage. After four to six hours, the cabbage should be softened from the salt. Rinse and allow to air dry. Mix garlic and scallions with chili paste and pour over the cabbage. Once the cabbage and chili paste are well mixed, stuff the jars with the cabbage mixture. Fill the jars with water, cover tightly, and chill for several hours before serving. Learning how to make vegetarian kimchi is easy and it can be refrigerator for several weeks. However, it's important to note that the flavor grows stronger over time, so if you don't prefer strong kimchi, be sure to consume it within one to two weeks.